Bean & Co’s team of experts have more than three decades of global agriculture development and management experience. The team’s experience includes hundreds of millions of dollars’ worth of successfully realized projects, strong networks and relationships on the ground, and industry-leading expertise in tropical agronomy.  Bean & Co has developed a global deal flow of projects, resulting in the ability to “cherry-pick” the most attractive and profitable cocoa projects and create a diverse portfolio of investment opportunities. In each project location, Bean & Co has a strong presence and familiarity with the political forces, local culture, and regulatory environment. To secure high-yield and premium quality, Bean & Co adopts innovative agronomic methods and technologies including: an increase in trees per hectare, mechanized cultivation, advanced growing methods, introduction of irrigation, fertilization, and improved varieties, and phyto-sanitary protection. These technologies and practices will allow our modern plantations to achieve outstanding yield performance and consistent production of 5 to 8 times more than the global average production capacity. With a combination of high quality yields and economics of scale, Bean & Co will be able to bypass the traders and secure off take agreements with the major industry players.